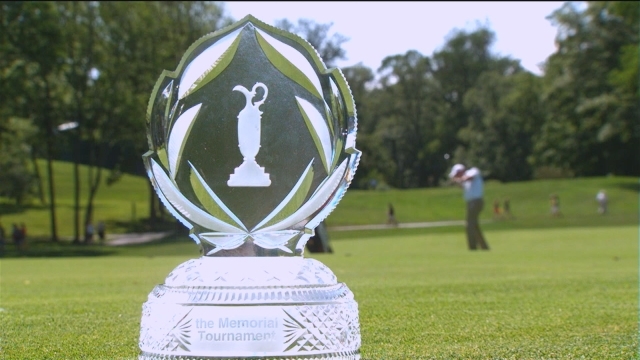 This week’s PGA Tour event takes place in Ohio as the best players in the world tee it up in the Memorial Tournament. Since this events inception back in 1976 some excellent players have won at Muirfield Village and that includes Tiger Woods who has won this event five times. Tiger is playing this week but who knows what shape his game will be in after a month off. Finally, you won’t be surprised to hear that the world number two, Jordan Spieth is the favourite to win this week after an excellent season so far. Muirfield Village golf course was designed by Jack Nicklaus in 1974 and it has hosted the Memorial Tournament since its inception on the PGA Tour schedule in 1976. It is a par 72 that plays 7,392 yards and it has proved to be a very tricky golf course for the professionals and we should see a similar winning score to the last couple of years. The cream has generally risen to the top in this event and you can see that from the past winners. This is because Muirfield tests all aspects of a player’s game but there are a few things players must do well. Firstly, their short game must be top notch. Five of the last six winners of this event finished the year ranked inside the top 13 in the scrambling statistic. This shows that the best players around the greens have generally won this event. Secondly, six of the last seven winners were ranked inside the top five in either the par 4 or 5 scoring average stats. Consequently I’ll be backing players who rank well in these statistics as it should help me find the winner. Jim Furyk – Despite being 44 years old, Furyk is one of the best golfers in the world and at 25/1 I’m happy to back the American this week. He’s had a relatively good season so far, he’s won once and recorded two other top ten finishes. The main reason for me backing Jim is because of his excellent course form. He’s recorded six top tens in this event and even won it back in 2002. Kevin Kisner – Kevin Kisner is my favourite bet this week, he’s had an excellent season and his first win isn’t far away. He’s finished inside the top 5 in three of his last five events and these were in very strong fields. He’s game is clearly in excellent shape at the moment and I’m very keen to have him on side this week. Kisner played in this event for the first time last season and finished in 46th position but he’s improved immensely since then. Muirfield visit isn’t overly long and should suit his game. He’s ranked 20th in the scrambling statistic this year and this is the most important attribute this week in my opinion. Justin Thomas – My final selection of the week is youngster Justin Thomas. This year has been Justin’s first full year on the PGA Tour and he’s excelled. Thomas has played in 19 events this season and has astonishingly finished inside the top 25 on ten occasions and this includes five top ten finishes. It is only a matter of time before Justin wins for the first time on the PGA Tour in my opinion. Muirfield Village should suit the young American’s game. He’s superb from tee to green and is a relatively good scrambler. Finally, Thomas is ranked 2nd on the PGA Tour in terms of par 5 scoring average this year and I expect par 5 scoring to be crucial this week.